Put the Right Decking Under Your Feet. Select from beautiful options to build the style you want. 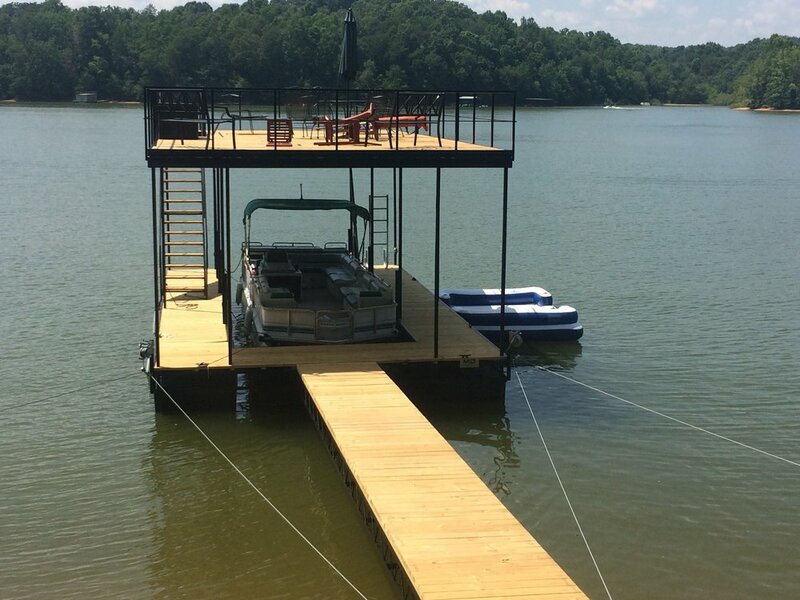 Beautiful long lasting decking from Azek is a great choice for any dock. The PVC decking is engineered to resists mold, mildew and moisture damage. This product boasts a limited 30 year warranty. Unlike natural woods there is no staining or sealing needed. With a variety of colors to choose from and and great warranty Azek is a popular choice among our customers. 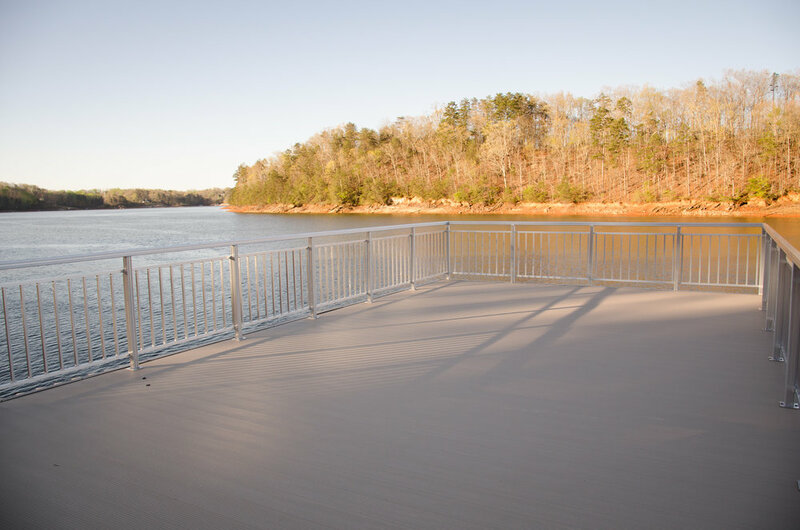 Our very own Martin Aluminum decking provides a maintenance free deck surface. It's interlocking design forms a water proof layer that can be used on sundecks to keep the area below dry. Our aluminum decking dissipates heat and is our coolest decking to touch under bright sunlight. Its textured surface is easy to grip with wet shoes or bare feet. If you are looking for an upkeep free, long lasting decking surface look no further than Martin Aluminum Decking. Available in a variety of colors, TimberTech decking blends realistic wood appearance with durability and easy maintenance. Carrying a 25 year limited warranty this capped composite decking will provide and enjoyable deck surface for years to come. Splinter free composite means that you and your family can enjoy those relaxing summer lake days barefoot. Stop by our sales office to view decking samples or visit www.timbertech.com today. If you are looking for a natural hardwood that will turn heads with it's beautiful grain and color, then check out Ipe. This exotic hardwood is denser, more durable and lasts longer than pine. The rich color of ipe will add a touch of class to your dock. Premium treated pine decking is as cost effective as it is beautiful. Choose this decking for it's natural look, variety of staining options and affordable price.